Is Your Job Recession Proof? You Need to Know Immediately. Is your job recession proof? It has been 10 years since the last recession. I remember it well. My husband and oldest son had a remodelling business and were the only source of our income. 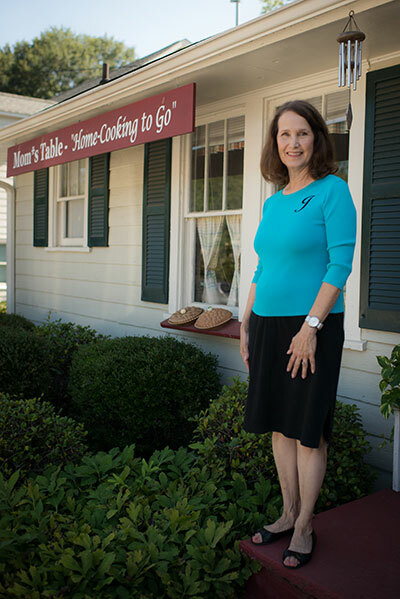 I was just starting a prepared food business called Mom’s Table. What happens to our job when a recession starts. When the last recession hit in September of 2008 my son and husband lost all their work in 48 hours. Overnight my work was all we had and I had just started it in August of 2008. Talk about timing! This seemed to be the worst time to start a business. People were being laid off all around us. Home foreclosures were at an all-time high. Banks were closing or on the verge of closing. Stocks were dropping like a rock. Are you ready for this? Is your family protected? Back in the early 70’s we had a recession started by skyrocketing oil prices and interest rates. Mortgage rates to refinance your home were 15-16%. I had to stand in line to get gas for hours. Can you imagine that? My point is, all through history you and I have been surprised by recessions because they come like a thief in the night. They are difficult to predict. Like in 2008 when unemployment hit a record 12%. Why we should start thinking about the next recession. First, the feds are raising interest rates. But you are thinking “so what they are at a low point nothing like 2008 or the early 70’s”. People tend to utilize a large per cent of their income for homes, new cars, and credit card purchases. So, interest going up 1-2% can have a drastic effect on credit cards, car purchases, short-term ARM type mortgages and long-term new home purchases. You and I depend on credit cards for vacations, weddings, college, and other essentials. Inflation is another evil setting on the sideline where overnight practically everything can go from affordable to out of sight. Inflation was the main culprit in the early 70’s. Can you imagine money market rates at 14-15%? Well, that happened because very few people had any savings at all because they were in a fight for survival. Banks were begging for money or deposits, so they could lend at high rates. Our government is taking a protectionist position with none or very little trade agreements. Military spending is at an all time high. Baby boomers are collecting social security at an all-time high. Oil is increasing in price. Medicare to care for our elderly is stretched as far as it can be stretched with more people every year. Most common people don’t have health care because of the cost. The national debt is still skyrocketing and so on. How do you protect your income and your family? Buy a franchise that serves an everyday need: FOOD. Back in 2008, I got to work pushing my food as my life depended on it. But guess what it was recession proof. People still needed food. People were glad to find a reasonably priced alternative to restaurants and grocery stores. Freshly prepared food was a hit. Even when the recession stopped my business still grew. Why? Because everyone gets tired of eating out, bringing fast food home, stopping at the grocery store at 5 pm during the week or just prepping and cooking food on their own. I found a concept, that unlike the prepping box phase that is sweeping the nation, is sustainable. I support myself and my husband with Mom’s Table income and have done so for 10 years and our revenue is still growing because we solve the pain like no one else. How does Mom’s Table work? It’s home cooking to go. 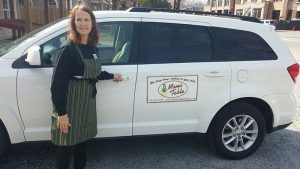 We use our proprietary recipes to prep and prepare a home cooked meal that families love but don’t have the time, skills or motivation to prepare for their families. They just stick it in the oven and presto, they have a fresh home-cooked meal. Pick it up…heat it up…Done! We are the go-to place for that last minute, “I didn’t plan anything” solution. Call ahead and you can be in and out in 5 minutes or less or just stop and browse what we have to offer. We have an extraordinary number of customers that tell us “I am so glad you’re here”. So, think about our economy and ask yourself is your job recession proof or will you be prepared with a Mom’s Table franchise? 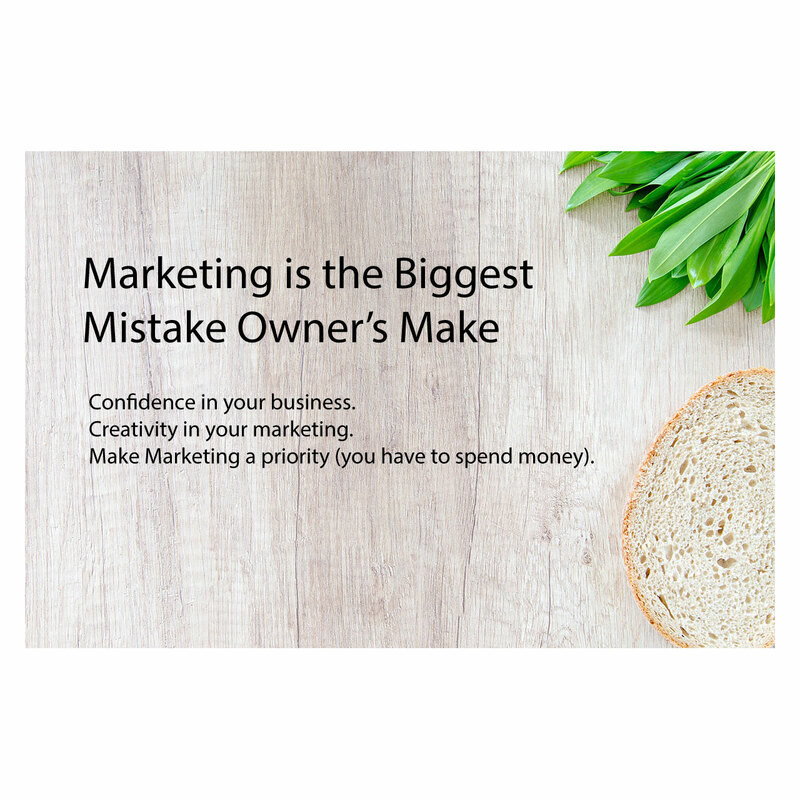 Marketing is the biggest mistake every business-owner makes by not getting out and pressing the flesh with the public or marketing their product face-to-face. Ask yourself if you are the type of person that doesn’t mind marketing their product face-to-face? If not then you don’t need to buy a franchise. If you are nervous or downright scared of marketing your products face-to-face in an elevator, on the street, or at a PTA meeting than you need to find another occupation because honestly, you will not make it in business otherwise. Most people for whatever reason feel sleazy or that they are doing something wrong by pushing their products to strangers or even close friends. It takes a special person to be able to pull that off successfully. You must have total confidence in your product and franchise business. This is the only way you will be able to market your product face-to-face. It’s important that you pick a franchise that you feel 100% that it will change peoples lives for the better. It is only by pinpointing your customer’s pain that you will be able to stand your ground and present your case in all meetings with others. It is also the reason these strangers want to hear what you have to say. They want that pain no matter how small to go away. Look at it from the prospects side. Maybe they are tired of fixing dinner for 2 hours every night, so their family eats well. Does your product solve that? Maybe they are tired of waiting in the fast food line while feeling guilty about it? What is a better option? Social media marketing is about getting the word out there that helps people find what they are looking for to help with that pain point. But to get those customers to come to you it helps to know how to cure the pain. Ask yourself this, which headline gets your attention? Tired of Cooking? Pick Up a Prepared Meal on the Way Home Tonight! You see social media marketing will get the solution for “tired of cooking” out there and people will call and ask questions. Is your food healthy? Is your food gluten-free? And loads of other questions that you will have to defend to be successful. You see all social media does is expedite the public to you but it’s up to you to close the sale. A great story I like to tell is about my logo. When I started I met with a lady at my church that agreed to design me a logo for my business. The cost was $200. At the time that sounds expensive but because I got a professional to develop it I have profited from that logo thousands of times over. The point is I needed something catchy that would grab people’s eyes, so they would ask questions. It was worth the money to find a creative professional to do that for me. How can you be creative? Maybe hand out flyers at the next community dance? Maybe let people try samples at a 5K race? Maybe stand out by the road with a sign and wave it around? I’ve done them all and then some. All these creative endeavours take a little moxie to pull them off, but it is the fastest way to build a group of buyers for your products. The days of advertising in print media is pretty much over. I have tried and wasted a lot of money with little to no return buying ads but every time I go face-to-face I win over customers. Everyone likes to have a little fun. I have sponsored a pie eating contest, musical chairs event and drawings or raffles. I once co-sponsored a contest at Halloween to guess how much a pumpkin weighted. Closest one to the correct weight won a gift certificate to my business and got a pumpkin for free. It was surprising how many people stopped back by to see if they won or who did. There are really lots of ways to have fun you just must come up with a simple but silly idea. The whole point is always to be thinking of ways you can be marketing your products. Find your customer’s pain point and how your product cures that pain. Also, be creative and get yourself out there in a way that grabs people’s attention. But most of all have some fun. Are you one of many people that wants to know how to buy a franchise? Starting a franchise is not as easy as you may think. Being your own boss offers a variety of perks, but there are a few different things you need to know. You want your franchise to be as successful. That requires a lot more than searching a list of franchises and their prices to buy a franchise. These are the steps you should follow when buying a franchise. When you’re looking to buy a franchise, I suggest using the IFA (international franchise association) website or other popular websites. Finding a concept that fits can be time-consuming, Consider the cost and location of the franchise, and ask yourself a few questions. Would I purchase this product and why? Is there a lot of competition or no competition in my area and why? Questions become very apparent when you buy a franchise so ask yourself questions before you consummate the deal. Are human resources available for you? A good labor market is a must. What financial resources do you have? Most franchises require that you have a $300,000 net worth. 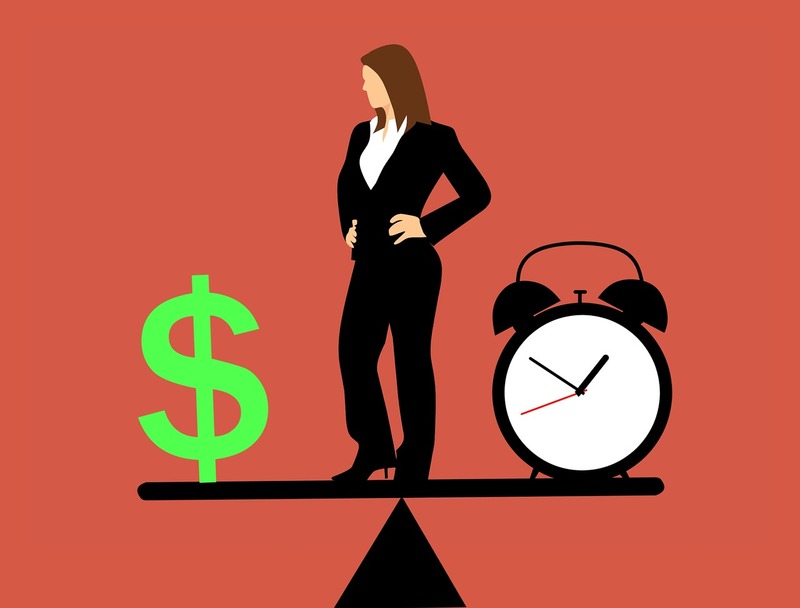 The more information you know about what you need and want, and your financial status, the better you will be able to make a knowledgeable decision about buying a franchise. And many more. For each category, you choose, pick at least two, a maximum of three, companies or concepts you would like to have more information about. There’s a chance you may not find what you’re looking for the first time. The good news is you can search the categories again to find different industries that are a better fit for you. 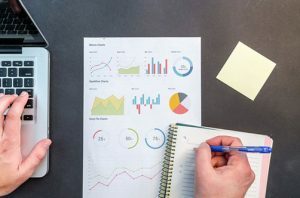 Once you reach this step, you’ll get a detailed look at the industry, as well as, the role of the franchisor and franchisee, the business model, and the company. This is the time you will receive the company’s FDD or franchise disclosure document. This disclosure document can range anywhere from a few pages to many pages, but it is important you read the document in its entirety. As a matter of fact, I would have an independent attorney look over all documentation before signing. Don’t let anyone rush you as you have 14 days after receiving the FDD before you can accept the offer to buy a franchise anyway. When you’re a franchise owner, there are a variety of perks. Having this title means a lot of things are done for you, including concept creation, research, product and the development of services, and you have access to many trade secrets. You will have information regarding training and expectations. Use this time wisely and ask yourself if this is going to fit into your business plan. The disclosure review or Discovery Day is the time when you have a sit-down with the franchisor representative. This happens before you buy a franchise. The franchise disclosure document will be discussed along with the available territory. This is the best time to get answers for all of your questions, and a second chance to review the FDD. The franchisors representative will ask you a lot of questions. The reason is to evaluate as to if you will fit in and be a successful franchise owner that will represent the franchisor’s brand well. After all, this is essentially a partnership one that will last from 7 to 15 years so answer carefully the questions presented. Due diligence is when you dot all of your “I’s” and cross your “t’s”. Once you reach this step, you should have a clear understanding of a variety of areas, such as the company’s industry, operations and support, and marketing. Before you make a final decision, contact each franchise’s corporate office to conduct a complete evaluation so you know exactly what you’re getting into. This is your decision so don’t buy all the hype, dig deep and get the details yourself. Own Your Own Business vs Buy a Franchise? There are advantages to both owning a franchise and owning your own business. If you are looking for a business with a high success rate and brand recognition, then a franchise is ideal. All franchises operate using a similar system, one that has proven great success many times. As far as brand recognition is concerned, franchises are businesses that are ready from day one and waiting for you to take your place in the scheme of things. If you’re ready to let explore with your creativity and experience professional freedom and growth, owning your own business is ideal. If you’re a creative person, you can use your ideas to help make your business dreams a reality even if you buy a franchise. Having your own business means you are your own boss, and you can work whenever you want. But you will find that being off means no money coming in so you have to plan off days very closely. How Do Franchises Make Money? Franchises make money a variety of ways. But primarily from profits generated from the business after cost and expenses are deducted from your revenue. I like to review my expenses and cost monthly to see if anything can be eliminated or if we need to market and generate more revenue. Before you jump into the franchising business, learn everything you can about this business, and understand that there is a process, and it will not be an overnight success. On the other hand, franchising can be great for you if you’re willing to conduct the proper research and follow proper channels. How does franchising work? I will answer that question but be advised it’s a vast subject. One that I will cover in this post and future post. A franchise is a contractual license to do business using the brand and operations of an existing franchisor (owner of the franchise company). The franchisee (the person who purchases the franchise) becomes a partner with the franchisor. The franchisor/franchisee relationship is of utmost importance. What Does a Franchise cost? Usually, a franchisor charges you a franchise fee up front to help defer the cost of support he will need to give you for years to come. The fee can range from 0 to $250,000 or more. The franchise will also pay a royalty for their use of the franchise assets. This can range from 0%-10% of total revenue payable weekly, monthly or yearly. The franchisee gets a proven system that has worked in the different locations and by different people. It is hard work, but you will reach your goals a whole lot quicker and more times than not they are profitable in year one. How franchising works? Hard work equals profits. Why wouldn’t it be better to go it alone? After all, you are smart and can figure out how it works profitably, right? Well, honestly the franchisor has learned a lot and believe me when I tell you he knows the road to the promise land. He knows the answers to how does franchising work. You, on the other hand, would have to start from square one and there is a reason most small businesses in America go belly up in less than 5 years. My wife and I took the long road and opened our own. That was 10 years ago. Knowing what I know now I would definitely buy a franchise to start a business. Don’t believe me then read this article. Sure, you would save money, but the marketing and sales know-how of the franchisor is worth every penny. 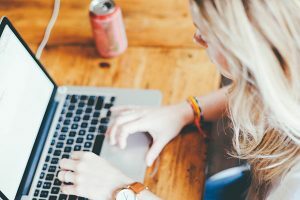 Where Do I Start if I Want to Franchise? Learn all you can about how franchising works. Subscribe to my blog on franchising for free and read all the books you can on the subject. Call a franchise broker. Get a list of brokers at some of the franchise broker associations. Check locally for Franchise Expos or marketing shows in your area. Attend because they are generally speaking very inexpensive, and you will learn a lot from attending. Check out the small business association (SBA) in your area and after looking at their website go visit them and ask questions about how franchising works. Now you can sit down with your spouse, girlfriend, best friend or mom and tell them what you are considering. Then just listen. 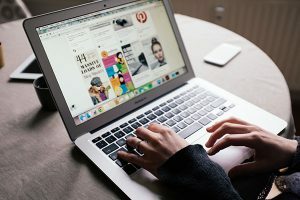 They will tell you everything that can go wrong, and these are all things you need to hear and consider before purchasing a franchise. If you still are excited about franchising after all this work, then you are ready to talk with franchisors directly. Just remember the hard work doesn’t stop here. How to Find Franchises That You Are Interested in Pursuing. First, I would look up franchises for sale in Google. Believe me, you will find more than you will ever read about. So, I would suggest narrowing down your search to one industry such as the food industry. Next pick a subset of the industry such as fast food, restaurants, catering, prepared foods, ethnic food etc. This will enable you to compare the different franchises to find one that will work for you. Once you get a half dozen you are interested in sit down and try and make a list with your number one franchise first. Next, go to their Franchise Opportunity site and fill out the contact form for more information. 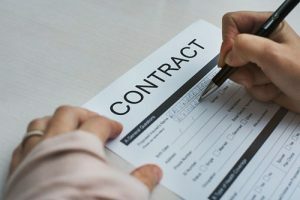 This is important because before they can offer you a franchise they must get your personal information, a non-disclosure document signed and then you can talk to the owner to see if he shows any interest in you at that time. 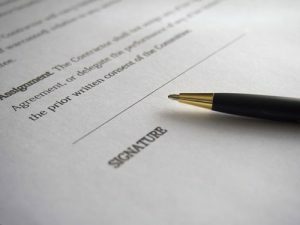 The next step to get together with you and the owner and get you to sign a receipt for their Financial Disclosure Document (FDD). The FDD is required by the Federal Trade Commission. This document is everything you need to know about the company’s franchise. All the rules, financial documents and history of the franchise in writing. It is a complete and lengthy document. The franchisor is required to wait 14 days after you receive the FDD before they can make an offer to purchase a franchise. You see that is the basics for how franchising works. Stay tuned for more post on franchising.